Some people have this luck that they are simply born with talent. Such is also 13-year-old Angelina Jordan, who has exceptional singing talent. A young singer was born in Norway, and she has been extremely passionate about music since she was young. She fell in love with the music years ago when she saw a video clip of late Whitney Houston singing the song "I Will Always Love You". At that time, the cute Angelina did not know that exceptional singing talent flows through her veins too. In the past, she released some of her singing videos on Youtube, and she inspired many music lovers. To date, her videos have received more than 220 million views, and these days she posted another great cover on the web, which you will enjoy yourself. 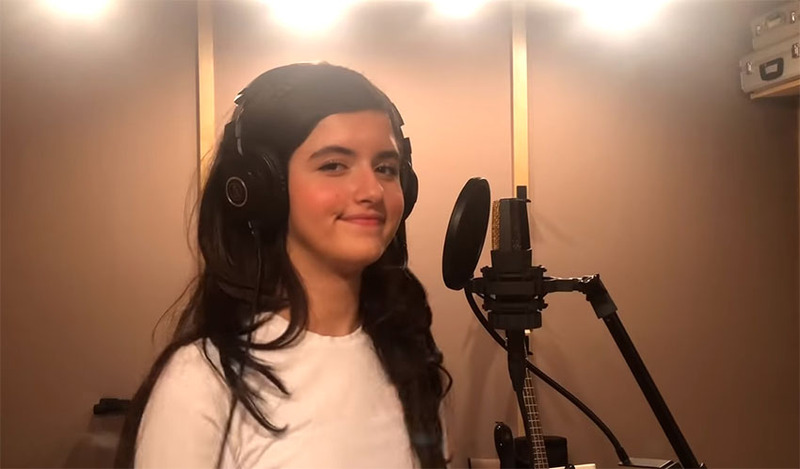 In a video down below, Angelina Jordan has paid special tribute to the late singer Whitney Houston. She sang her song "I Have Nothing," and she has thrilled thousands of her loyal fans with her performance. When you hear Angelina's incredible singing talent, you will also be impressed with her performance of this famous Whitney Houston song!